The iOS and Android mobile application, designed by the order of designer-illustrator to attract attention to his work and the work of his colleagues. The user buys or downloads a set of stickers, emoji and GIF-images on different topics for free and uses them for online communication. 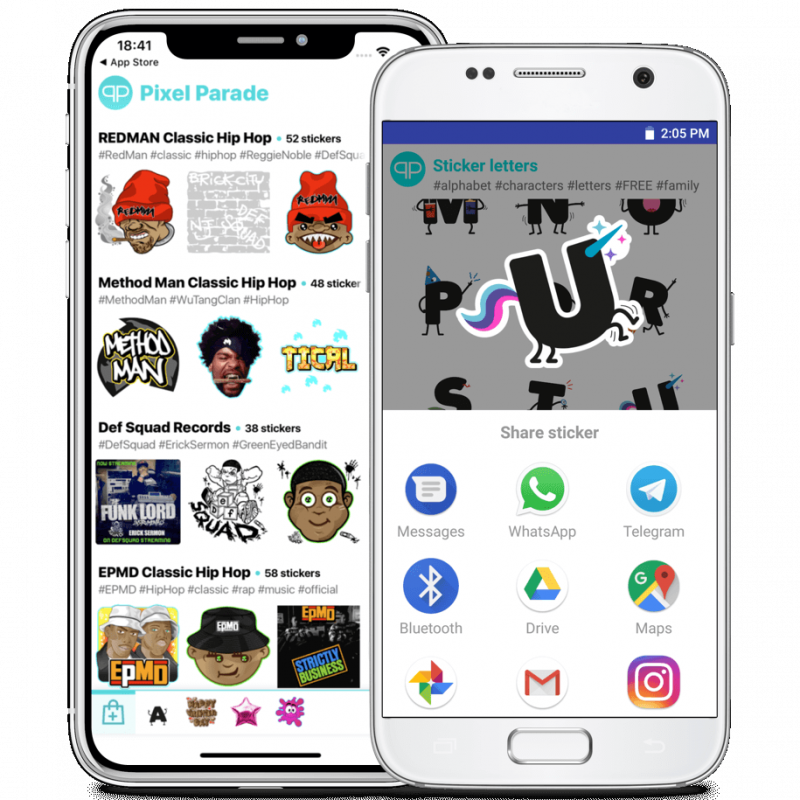 Pixel Parade supports the most popular instant messengers and social networks from WhatsApp and WeChat to Telegram and Instagram, so you can emphasize your mood with a sticker or GIF in any correspondence.